Before a euphoric crowd at the Tomás Donés Coliseum of Fajardo, Puerto Rico, Abimael ‘Hands of Stone’ Ortíz (6-0-1, 4 KOs) of Cidra, won by way of a sudden 5th round technical knockout over former Olympian Jantony Ortíz (8-1, 4 KOs) of Humacao, in a scheduled eight rounds fight at the super bantamweight division. Jantony visited the canvas twice in the fifth round by body shots. “Thanks to the fans that came together to the fight. Jantony is a great opponent, but we knew we had to beat him, but that was not going to be a easy task because of his great boxing abilities. Thanks to Fresh Productions Boxing for trusting me and giving me this scenario to show what can I do and grateful to Jantony for the opportunity to fight him” said an excited Abimael Ortiz, who in his last bout beat defeated Promotions Miguel Cotto prospect and localist Josean ‘El Tren’ Figueroa, by technical knockout in the eighth and final round of an exciting fight. 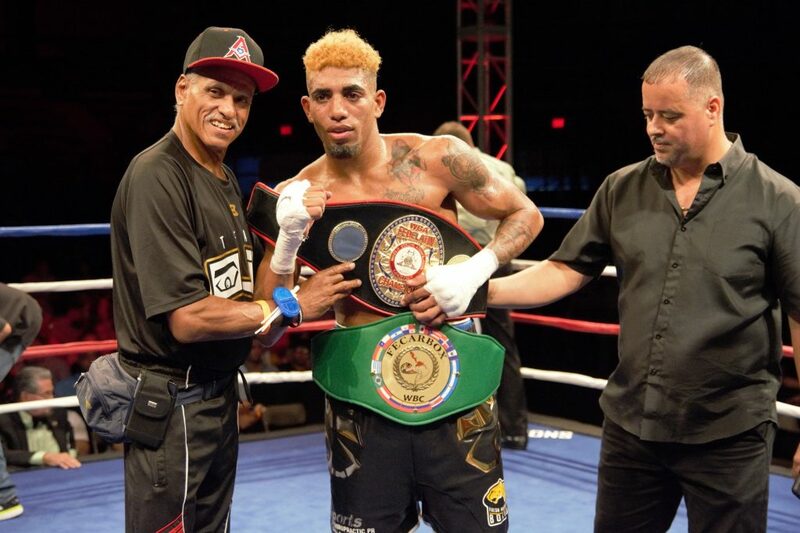 For the vacant WBC FECARBOX Lightweight title, Dominican Alfredo ‘Ojo’ Santiago (10-0, 3 KOs) looked impressive by winning by 4th-round TKO over dangerous Argentine Cristian Miño (19-2, 17 KOs) in 10 rounds agreed duel. “Thanks to the CMB and Fresh Productions for this opportunity. Now with the victory I will be among the best lightweights in the world and ready to fight them” said Santiago. Santiago, has notable victories over former Mexican Olympian Arturo Santos Reyes and world contender Jayson Velez, of Puerto Rico. The freshly ranked # 20 by the World Boxing Council (WBC) at junior welterweight Subriel Matias (11-0, 11KOs), of Fajardo, scored a impressive 4th-round TKO victory over Breidis Prescott (31-13, 22 KOs). Matias sent Prescott to the canvas in the third round with a resounding left hook to the face and the next round, Matias landed a upper to the jaw that sent the Colombian to the canvas again, and after overcoming the referee eight count, he retired from combat. In his last presentation, Matías defeated Mexican prospect Adrián ‘Diamante’ Estrella (28-1, 24 KOs) by technical knockout in the fourth round. 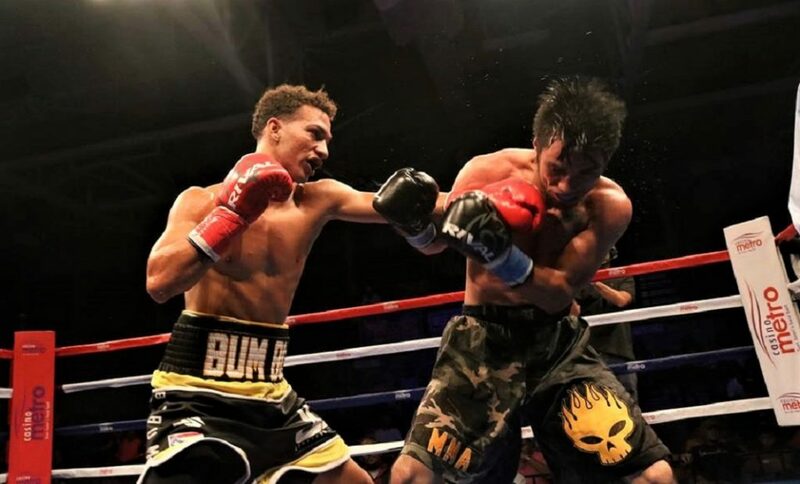 In addition, the Puerto Rican puncher has fast wins over Jeffrey Fontánez, former Venezuelan Olympian Patrick López, Brazilian puncher Joaquim Carneiro and world challenger Daulis Prescott, brother of Breidis. Jovanie ‘El Lobito’ Santiago (11-0-1, 8 KOs), of Dorado defeated by technical knockout in the fifth round the Colombian Andres Figueroa (9-3, 5 KOs) in a duel scheduled for 8 rounds in the maximum weight of 142 pounds. Santiago, defeated in his last fight former world champion DeMarcus Corley by unanimous decision. Also in his resume he has a victory over Antonio ‘El Cacique’ Ortíz, who was unbeaten in six starts. In other matches, Angel ‘El Gallo’ Suárez (8-2, 3 KOs) of Guaynabo, defeated by unanimous decision Francisco ‘Monkey’ Rodríguez (4-4-1) of Santa Isabel. The judges scored 60-54, 60-54 and 59-55. At the maximum weight of 153 pounds, Patrick Cora won by technical knockout in the second round over Orlando Fernandez. At 135 pounds, Steven Ruidiaz, of Canovanas, knocked out Héctor González of Coamo in two rounds. At 130 pounds, Jose Aguirre, of Arecibo, dominated Michael Estrada, of Fajardo. The three judges scored 40-36. In the bantamweight division Alexis Diaz beat Luis Torres by majority decision. The judges scored 40-37, 39-37 and 38-38. Debutant Bryan Álvarez of Cayey, won by unanimous decision over Emilio Rivera at 122 pounds.